Prices and values on the Lootaku website are given US dollars. A one month subscription is $44.99 (three and six month subscriptions are cheaper). According to my currency converter this is £33.34. UK Shipping is $17.66 (£13.09). Slightly pricey, but this is a premium box. Also it’s coming a long way. 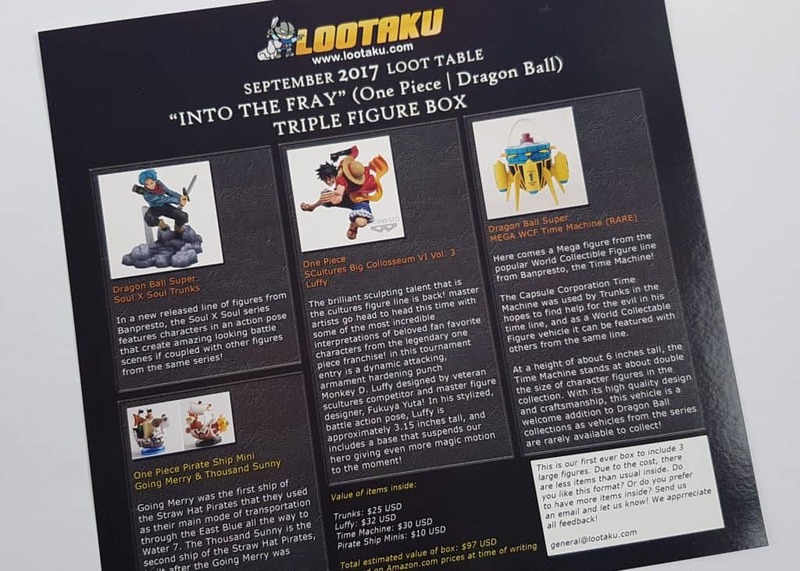 This month’s theme focuses on Dragon Ball and One Piece. It is also a slightly new format. It contains, for the first time, three large figures. Along with two smaller items this brings the total to five in total. Usually there are six, but they have included fewer this month due to the inclusion of more large figures. This is their shipping box. It’s such a terrific design, and fits perfectly with the anime style. There certainly are some large boxes in there! OK, so let’s have a look at each item. 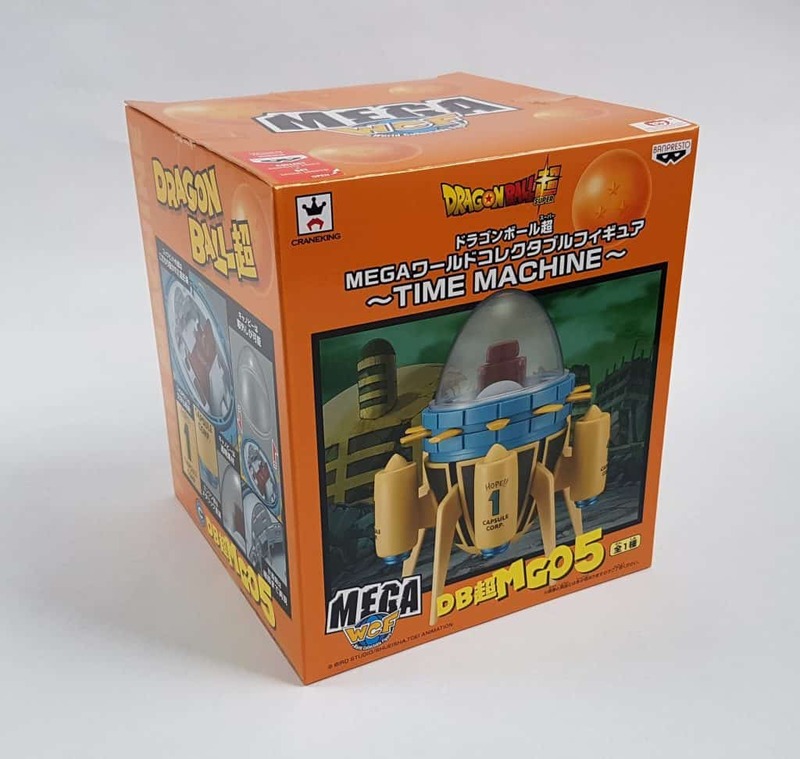 This is a Dragon Ball Super MEGA WCF Time Machine. 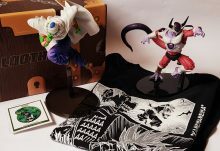 This World Collectible Figure can be used with others from the same line. Character figures from this collection are about half the size, so it is roughly proportional. 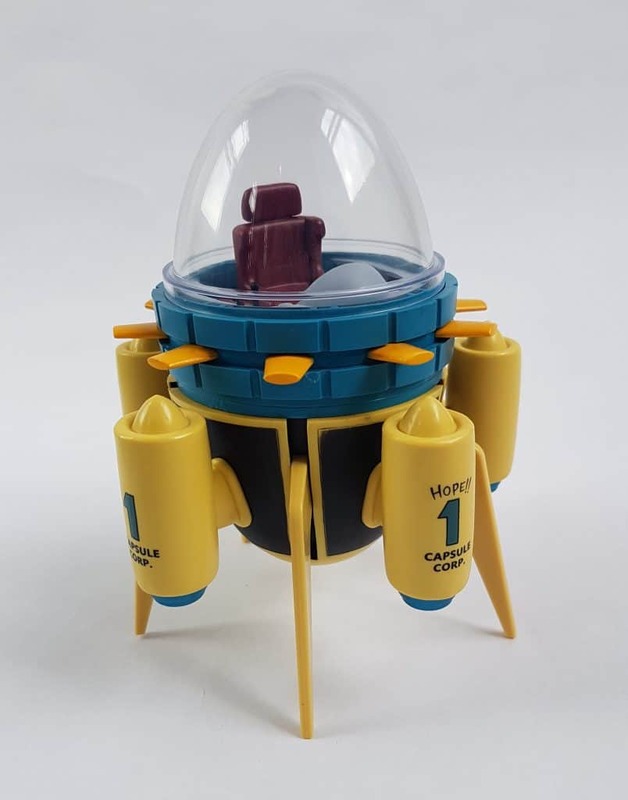 Apparently vehicles from the Dragon Ball universe are rarely available as collectible figures, so this is a terrific addition to a collection. As always the detailing is excellent, and it’s surprisingly heavy! 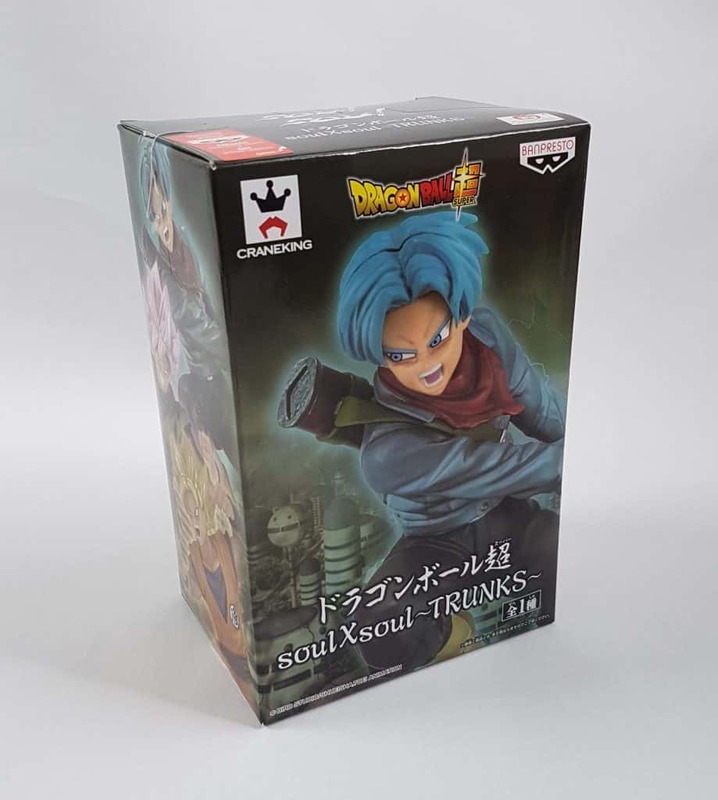 Another Dragon Ball Super item, this time Soul x Soul Trunks. 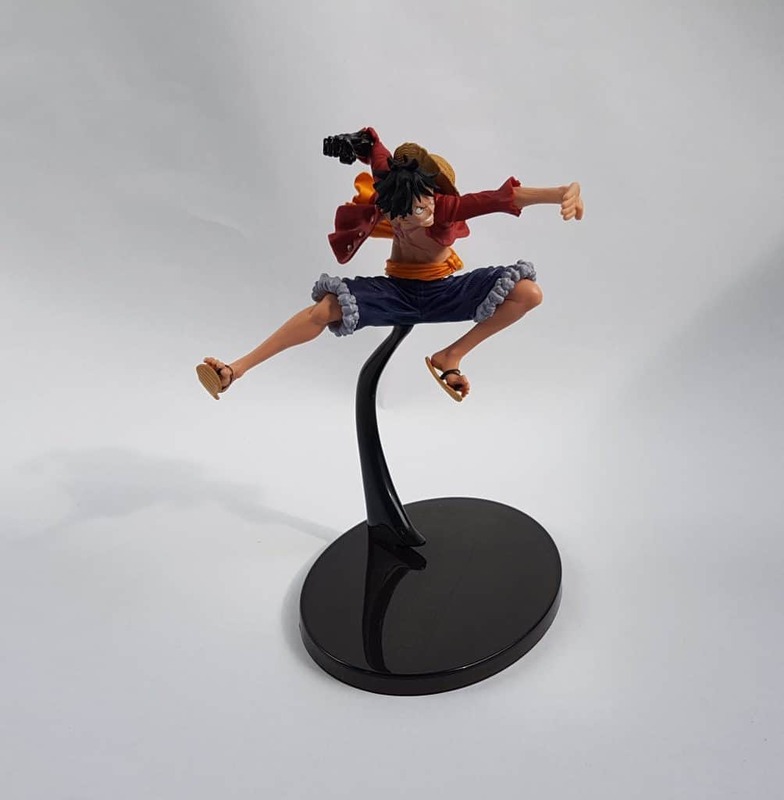 This is a ‘floating’ figure, with a stand to elevate the figure in an action pose. 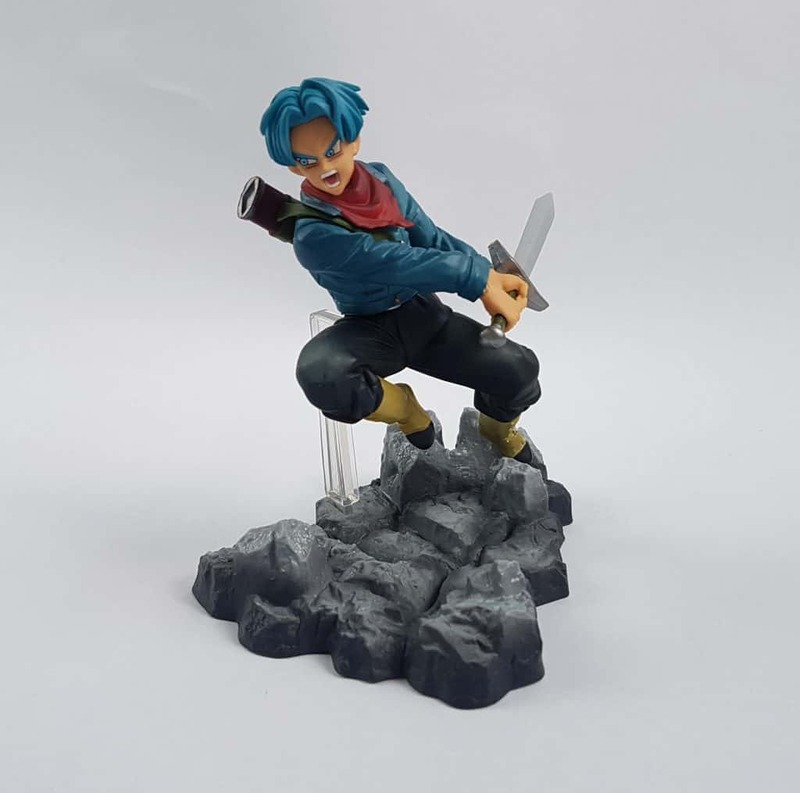 You can create fantastic action scenes with this figure! Again, terrific details. 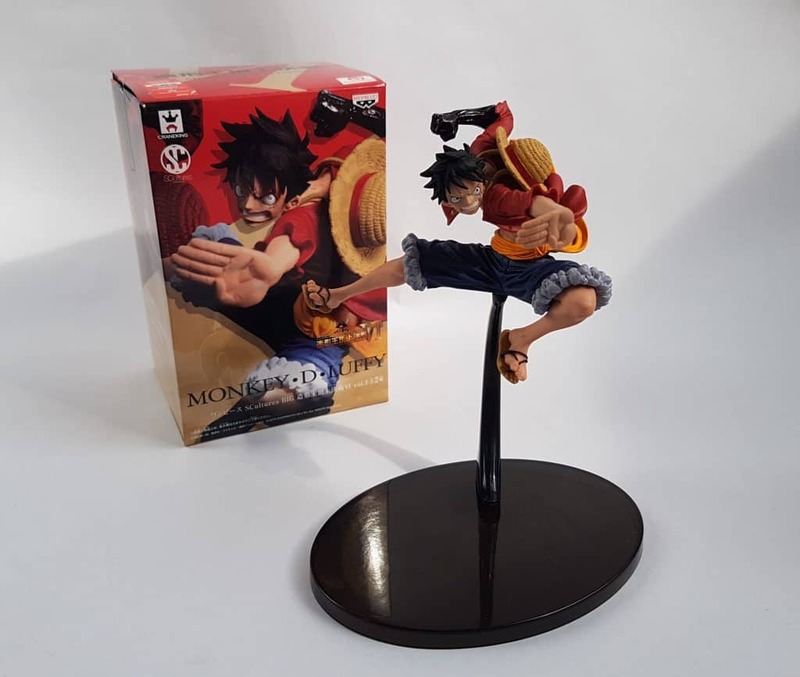 Moving on to One Piece, this figure is SCultures Big Collesseum VI Vol. 3 Luffy. Another ‘floating’ figure, though with a black stand this time. This figure has been designed by the veteran figure sculptor Fukuya Yuta. 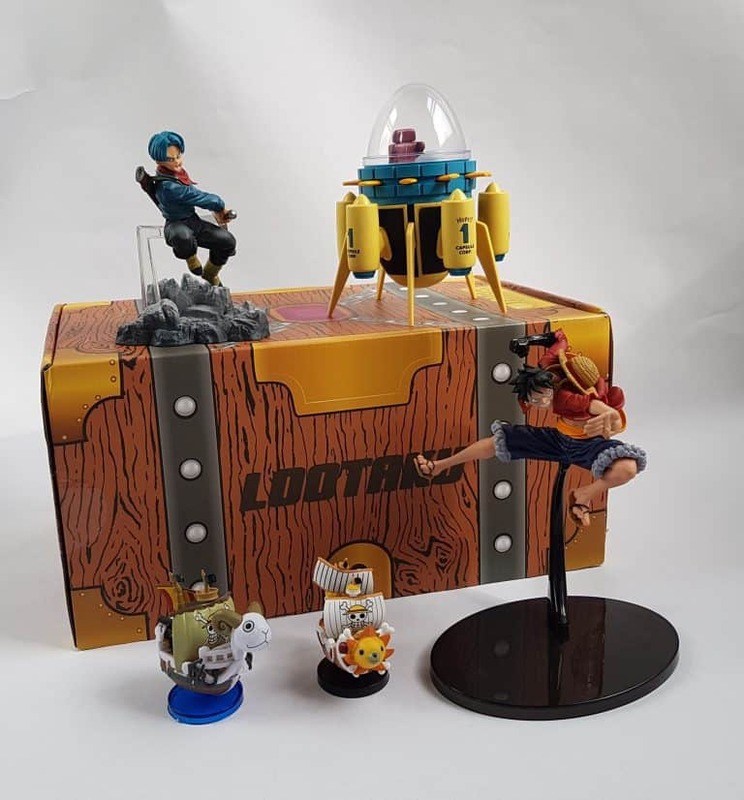 The last two items in the box are smaller, also from the One Piece world. 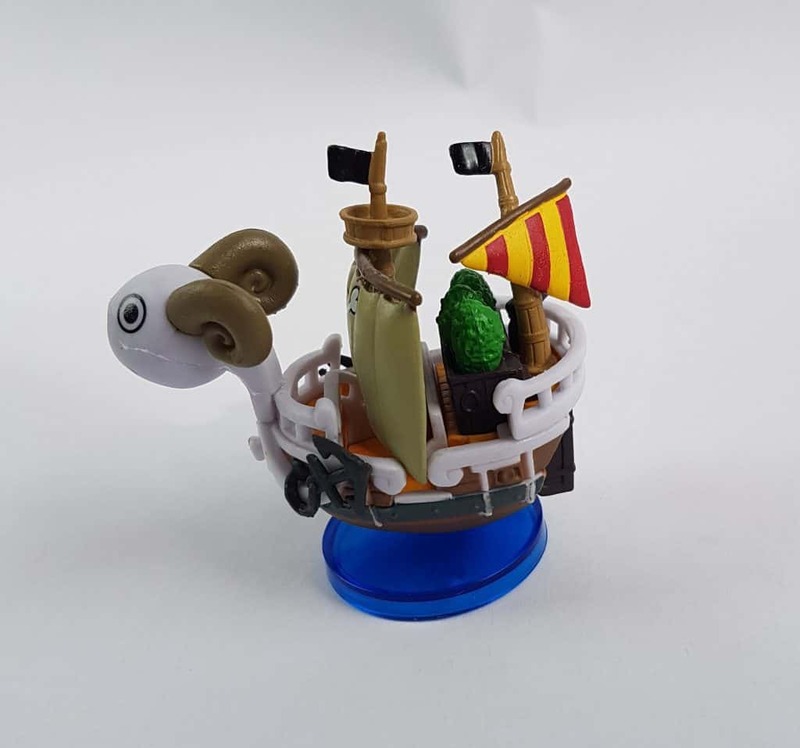 These two ships are Going Merry, the first ship of the Straw Hat Pirates, and Thousand Sunny, the second ship, built after the Going Merry was destroyed. Smaller than usual, but still at the bottom of the box so no spoilers! It contains item details and values. We saw at the top that the monthly subscription is £46.43. 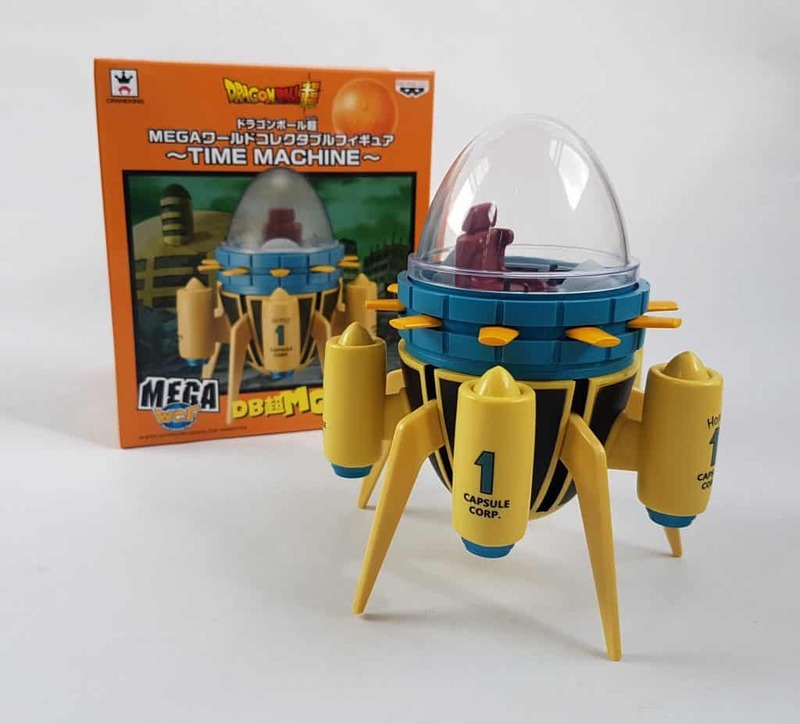 Dragon Ball Time Machine: £24.00 I found this on a site called Japan Craft. However this price does not include shipping. 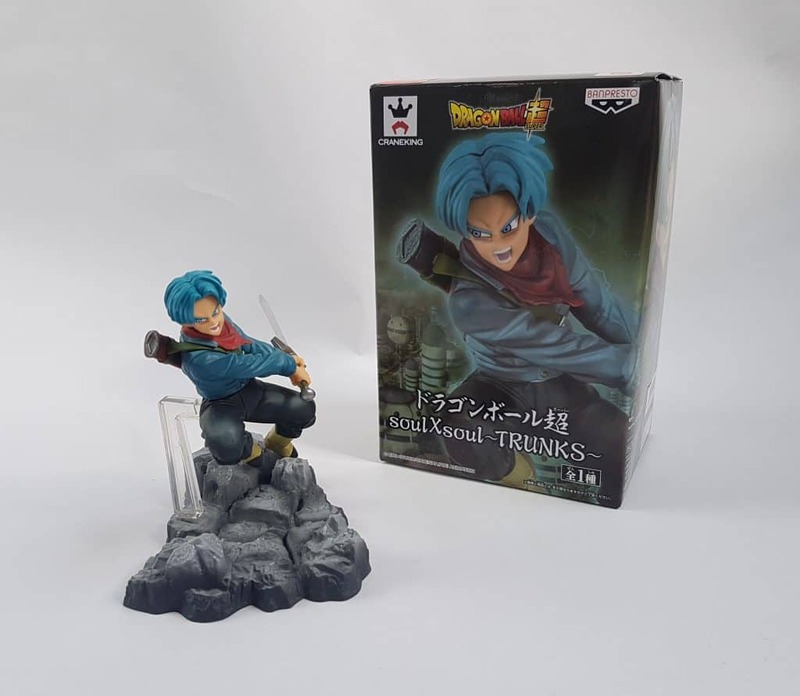 Trunks figure: £29.00, also at Japan Craft. Again, not including shipping. 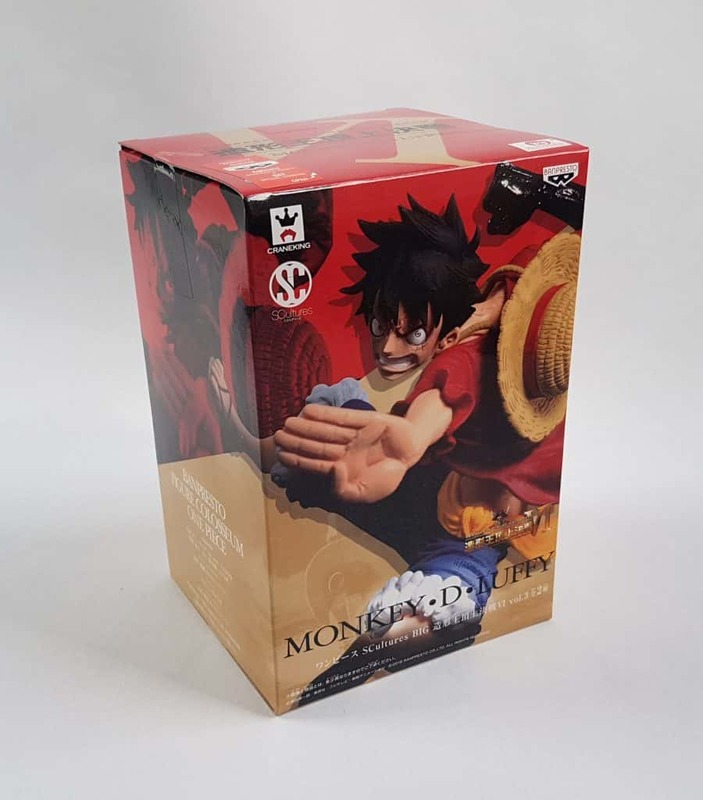 Luffy figure: £24.29 at Forbidden Planet, but out of stock at the moment. 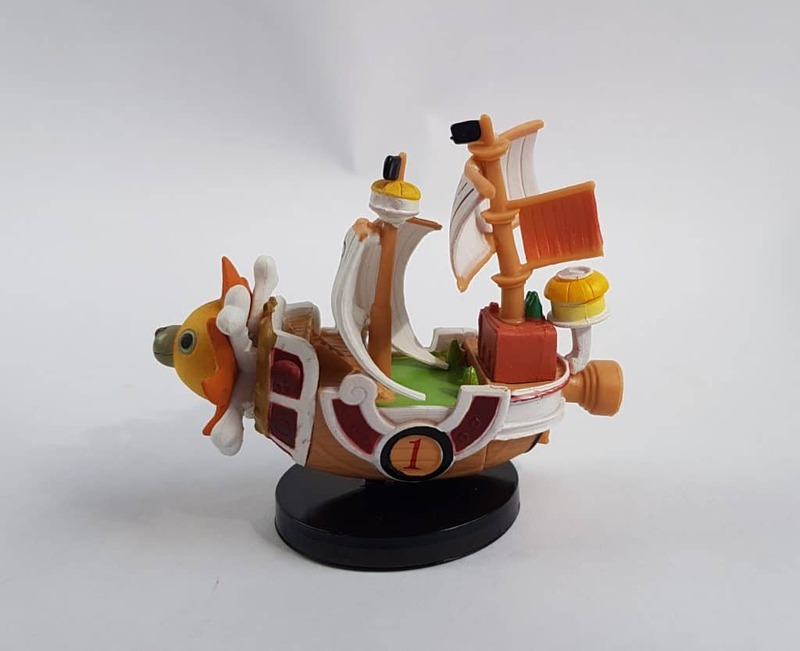 One Piece small ships: I found these two for £7.18 on AliExpress. Shipping is free, but long delivery time. 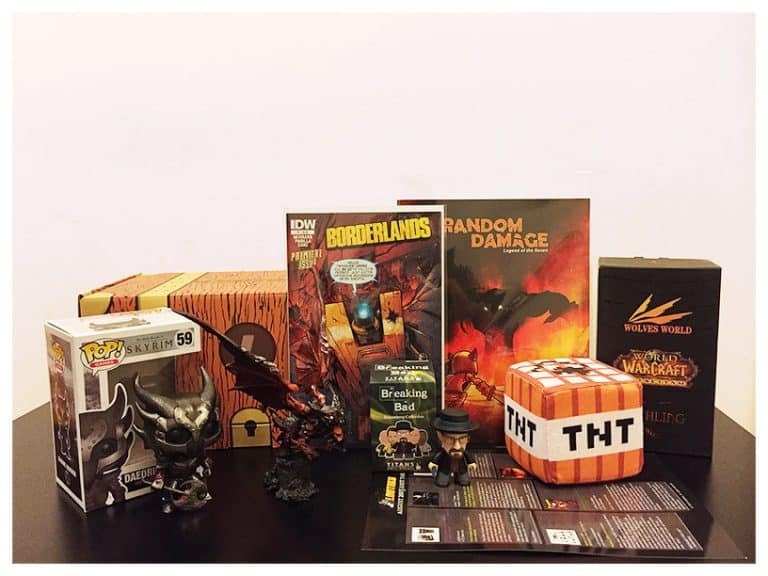 So this is well over the value of the box itself. Now then, I can’t quibble with the value. It’s superb, as Lootaku always is. It is a premium box with premium items. As I mentioned earlier, this is a slight departure for them, including three large figures. Past boxes have generally included a maximum of two figures of this size. But there’s something about this box which leaves me a little cold. The quality and value are excellent, but I can’t get excited about a box which only contains figures. If figures are the only thing that float your boat then you would be over the moon. However, I’m a geek, but I like a little variety in my geeky stuff! 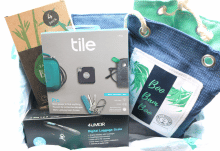 Plus stuff I can actually use. 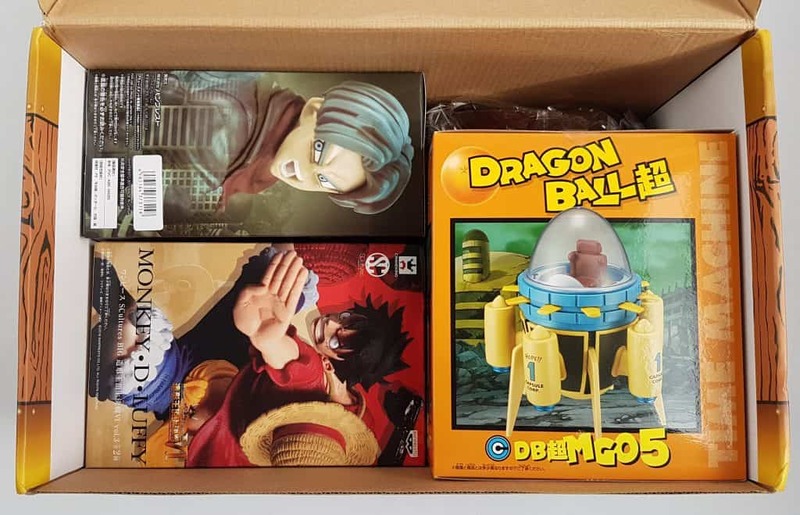 The last few months Lootaku have been including some really awesome non-figure items in their boxes, and I’ve absolutely loved them. 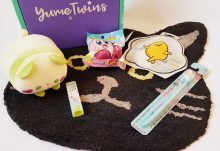 Last month, for example, they included the most gorgeous backpack, and I’ve also acquired such items as scarves, coasters (exclusive and gorgeous) and plush figures. So yes, awesome value, and yes, great quality, and yes, super-premium figures. 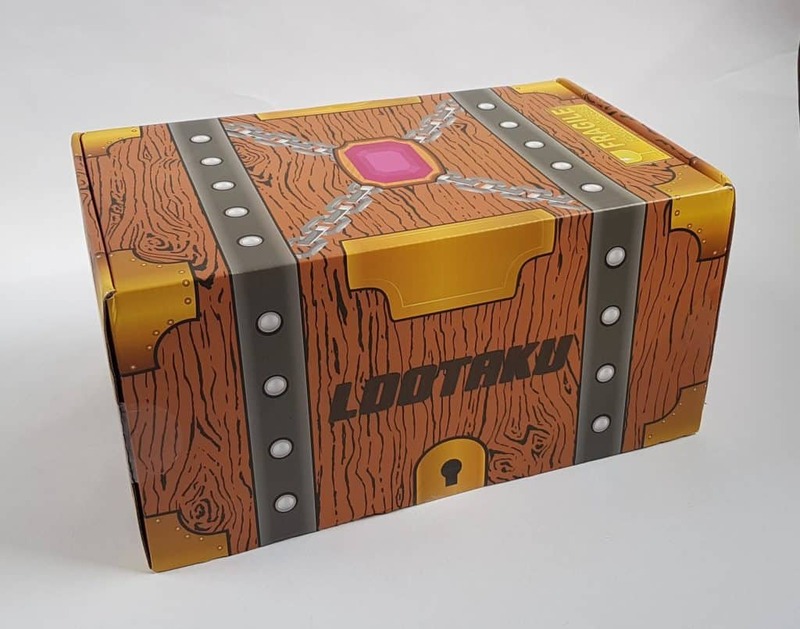 But next month, please Lootaku, bring back some of that awesome creativity you’ve shown so well in past boxes!